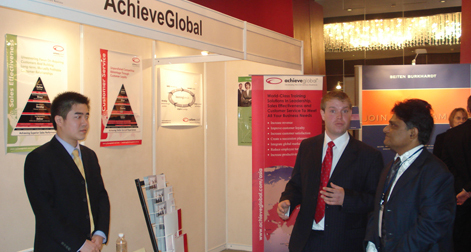 Saraswati Online.com India Ltd., represented by Dr. Bose attended an HR Conference in Shanghai on the 26th November 2008. The conference was organized by European Chamber of Commerce in China, Shanghai branch and was about HR Challenges for 2009 in China. It was attended by around 150 companies like BOSCH investment Ltd, TNT Greater China, Randstad and many more. It was a highly enlightening & effective seminar which threw light on H R policies across some of the most renowned companies. Saraswati Online.com India Ltd., was interested in attending the seminar with a view towards seeking placements for MBA students of Wuhan University of Technology.